Proud as a peacock, institute manager Marjan Fretz gives us a tour around Matrix VII, the long-term accommodation of ARCNL, the Advanced Research Center for Nanolithography. 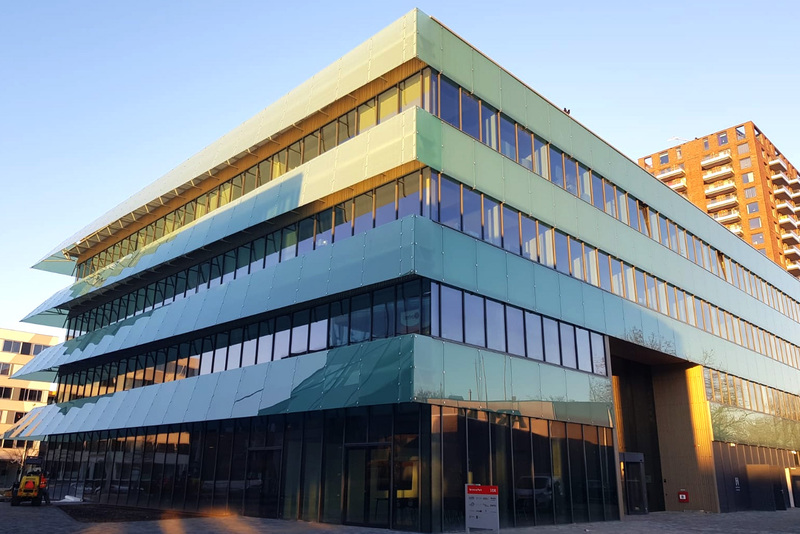 Last December ARCNL’s employees moved from the temporary office units at the Amsterdam Science Park to the brand-new Matrix VII building opposite. In the subsequent weeks, the labs were relocated. Marjan is pleased with the modern appearance of the building and all of the state-of-the-art facilities in the labs that have been fitted to make cutting-edge research possible.